The Ace and Aro Hospitality Suite is provided by the Creating Change 2019 Host Committee in close collaboration with TAAAP. Program Description: We invite Creating Change guests on the asexual and aromantic spectrums to visit the Ace and Aro Hospitality Suite! This is a safe space for people who experience an absence of sexual and/or romantic attraction in any and all ways. 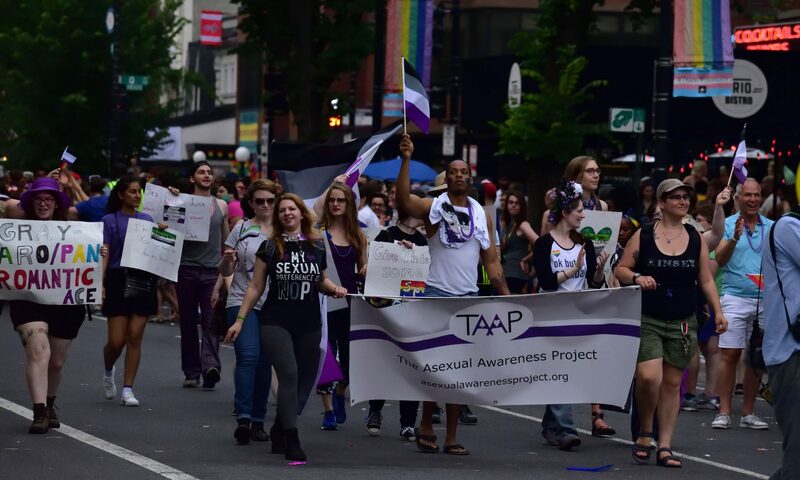 The ace and aro communities commonly experience invalidation of individual and shared truths, yet continue to grow as diverse groups of amazing and beautiful people! Come join us in the space that we create to share food, make friends, and have fun! Special thanks to Aces Wild and The Ace and Aro Advocacy Project for hosting an unofficial asexual space at prior Creating Change conferences and addressing this community need within the National LGBTQ Task Force. Sponsored by the 2019 Creating Change Host Committee. Bring your lunch, come to the Ace and Aro Suite, and talk about how your ace and/or aro identity interacts with polyamory. Are you polyamorous? Have you been in a polyamorous relationship? Are you curious? Come to talk about it! This is an opportunity to talk about how your ace and/or aro identity impacts your access to and experience with healthcare of all kinds, including mental health. Have you come out to healthcare professionals? Why or not? How have professionals reacted to your identity? Does it impact your ability to get healthcare? Bring your lunch and talk about how your ace and/or aro identity impacts your friendships! Do you connect differently with other ace and/or aro people? How do you prioritize friendships in your life? 7:30 – Pizza and cake party! Come visit us to talk about how your ace and/or aro identity impacts your experience with your gender! You can find the Spotify playlist being used at the suite here. If you would like to leave any feedback on the playlist, please fill out this form.